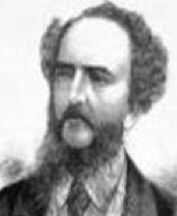 James Brunton Stephens was a Scottish-born Australian poet, although he did not emigrate there until his early thirties. 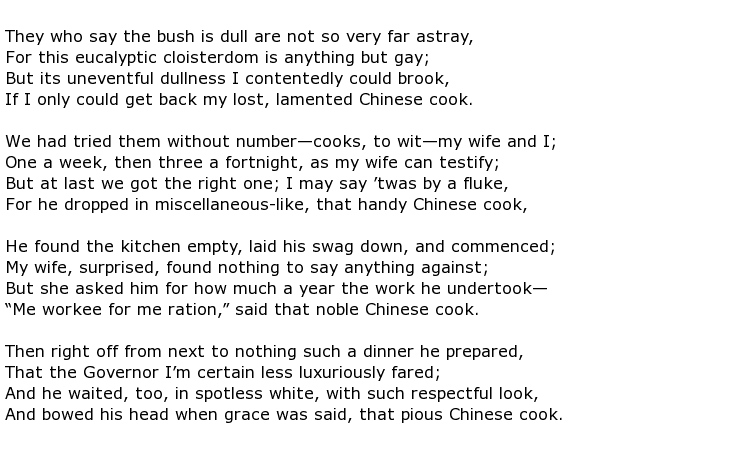 His most famous piece of work was a long poem called Convict Once, a piece that established his name in the annals of great Australian writers and demonstrated that he could show a great deal of patriotism toward his adopted country. He also served for many years as a teacher and civil servant. He was born on the 17th June 1835 in the small coastal town of Borrowstounness, more commonly known now as Bo’ness, which lies on the south bank of the Firth of Forth. He initially went to school where his father was a teacher before going on to boarding school and then the University of Edinburgh. Despite five years there he left without a degree but was able to secure tutoring positions both abroad and in Scotland. He took up writing during his spell of teaching at Greenock Academy, producing a small amount of poetry and two short novels which he got published in serialised form in the Sharpe’s London Magazine between 1861 and 1863. In 1866 he boarded a ship headed for Queensland and took up a home tutoring position before moving on to the Queensland Education Department in 1870. A number of teaching posts came of this until he made a break with that life, joining the colonial secretary’s department in an administrative role. Within a year he had his first collection of poetry published under the title Convict Once and literary critics soon declared him to be an Australian writer of great merit. Other work soon followed: a long poem called The Godolphin Arabian was published in 1873 followed by The Black Gin and other Poems (1873) and then Miscellaneous Poems in 1880. Stephens was a kind, charitable man, often at the expense of his own health and well-being. He kept working hard while occasionally turning out a poem here and there. Despite his lack of output towards the end, and the rise of other Australian writers all around him, he was certainly considered to be his country’s “representative man of letters” until the day he died. His stellar work Convict Once is a highly technical, extremely long poem which is one of a few of its kind that has come out of Australia with any merit. James Brunton Stephens died on the 29th June 1902 at the age of 67. He had been ill with angina pectoris and he was survived by his wife Rosalie and their five children.